Individuals can play an important role in decreasing the chemical contamination by using natural landscaping supplies. Avoiding chemical fertilizers can be beneficial for the environment and protecting one’s family, all while creating an outdoor space that looks and feels fresh and beautiful. Chemical fertilizers might make plants grow larger and more quickly but they have negative long term effects on the environment that outweigh the short term benefits related to plant growth and size. The problem begins with the fact that the chemicals used on the plants do not stay exclusively on the plants they are intended for. Rather, these chemicals spread deep into the soil, the water, and other plants. By spreading to the water the chemicals contaminate drinking water which can have dangerous long term effects on brain development and immune system functioning. 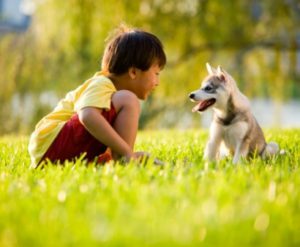 Another problem with chemicals in fertilizer and mulch, is that often children and pets are exposed to these chemicals through direct contact which can be detrimental to their health. Using chemical-free alternatives in the creation of one’s ideal yard space is a solution to this problem. Creating a chemical-free yard relies on the supplies used by an individual. The first step to creating a chemical-free landscape is to have healthy soil. Healthy soil could be anything that does not include synthetic dyes or pesticides. Hemlock or Black mulch are both options that can provide chemical free soil that resists weeds, and retains moisture. The next step is to avoid spraying pesticides on the lawn. Common weeds are often the reason that individuals use pesticides on their yards. But, many weeds—like clover—are the result of improper soil. Having soil that has the correct amount of nitrogen can correct this issue without spreading harmful pesticides. If replacing the soil is not an option, then simply leave the clover clippings on the grass after mowing it. Despite their classification as weeds, clovers are nature’s way of correcting the problem with the soil. Proper mowing techniques is another key feature of maintaining lush grass within one’s yard. A brown lawn is often times an over mowed lawn, since too much mowing prevents grass form getting the water it needs to remain green and healthy. If proper mowing does not improve the problem, then the soil might be nutrient deficient. This is a case where one could either plant some clovers to add nitrogen to the soil, or replace the soil altogether. For those that desire a lawn that is completely free of any weeds, a spray made from undiluted white vinegar is an at home remedy to keeping pesky weeds under control. Another solution is to simply pull out the weeds by hand. So long as the root is extracted then the weeds should not grow back. To prevent weeds ahead of time without chemicals, individuals could apply some corn gluten to the lawn. Corn gluten provides the grass with vital nutrients and prevents dandelions from returning, so as to create a green chemical free yard. Create a natural outdoor space that is chemical-free with the expertise of the licensed technicians of Greener Horizons. We’ll take the proper steps to ensure that you create the yard of your dreams, without the added chemicals. Learn more about chemical-free yard care and contact us today for a consultation.